This versatile, very heathy drink, especially rich in antioxidants, can be the better part of our lunch, snack or even breakfast. The following drink, an old fashioned version of the modern smoothie (rien de nouveau sous le soleil – nothing new under the sun), includes a little kicker. Take the blueberries out of the freezer 30 minutes before using. 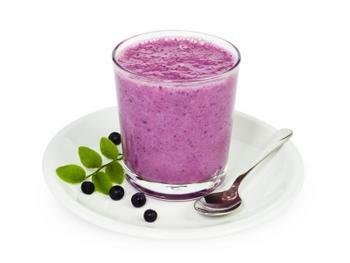 Mix the blueberries in a blender with the lemon juice, honey and milk. Add a sprinkle of cardamom before serving.